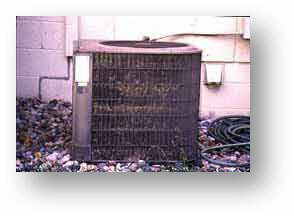 Dyn-O-Coil is a dynamic mineral scale preventer and removal system. Dyn-O-Coil's ingredients modify the normal crystal structure of mineral hardness so that scale build up never forms inside the pump, on coils, in valves, hoses, wands or nozzles of your equipment. It will not harm any machine part including seals and packing. If you have to use hard water when you are washing then using Dyn-O-Coil occasionally is insurance for your equipment. Use Dyn-O-Coil starting at 1/2 ounce per gallon of soap mix. Dyn-O-Coil will also remove pre-existing scale with each use, dissolving it over time. Dyn-O-Coil is non hazardous, biodegradable, easy to use. Works while you work. For Preventive Use: Premix 1 quart (32 oz.) into 54.75 gallons of water in a 55 gallon drum and inject through machine as normal. For Pre-existing Scale Use: Premix 1 gallon into 54 gallons of water in a 55 gallon drum. Then use water as normal. For Soap Treatment: Premix 1 pint (16 oz.) per 55 gallons of soap or 1/2 oz. per gallon. You can use Dyn-O-Coil in both the soap and the water at the same time without issue and for better results. If scale buildup is already sever consider using Super Coil Descaler before starting a Dyn-O-Coil prevention plan. 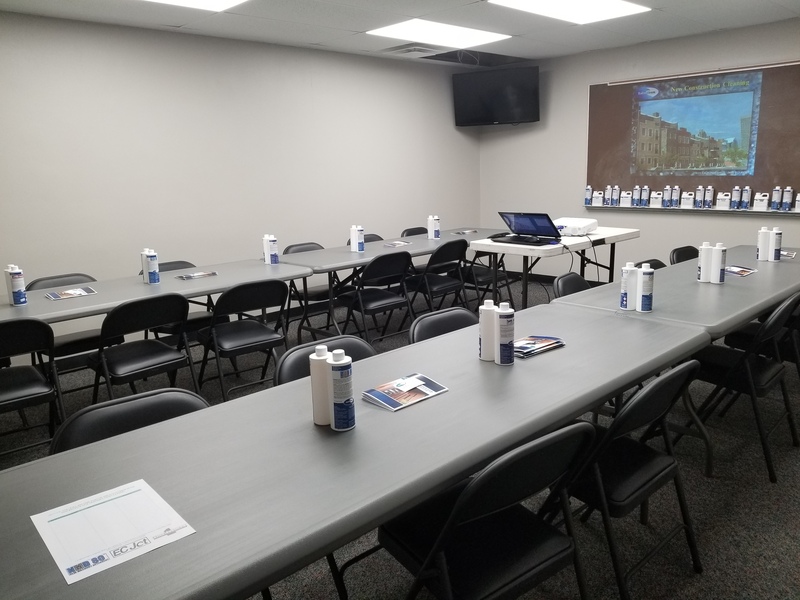 This year GCE is planning to hold educational training classes for our customers and other contractors at our Norcross, GA location. Here is the tentative list of classes. Dates TBA. Feb - Pressure Washing 101/ Troubleshooting Equipment. Mar - Ready Seal - How to use class and hands on demo. Apr - Seal n Lock - How to use class and demo. May - How to choose chemicals for cleaning and understanding pH. Jun - Social Media Marketing; Facebook, Twitter, Pinterest, etc. Jul - Lift Training - by Sunbelt (this will be a paid class with certification). Sep - How to set up OSHA training for your business. Oct - OSHA training class - GHS labels and SDS's. Nov - Maintenance repairs and winterizing equipment. Dec - Chemical Safety, DIY Spill Kits. In our new location we have a very nice conference room to hold these meetings that can comfortably hold around 24. Most of these will be free classes, some we may ask for a small deposit to help us guarantee attendees that sign up show up especially for classes with out of town speakers. The deposit amount would be given back as in store credit for use with the event or later on. Most classes will only take up a morning of time usually on a Friday so we are not interfering in the busy time of a contractors cleaning weekend. And having classes early in the mornings still frees up the rest of the day for work. The class we would like to have for Lift Training would have to be a prepaid class but we would be getting a discount from Sunbelt for less than if you took the class direct from them. This class will also have to be an all day class as there are both classroom work as well as the hands on training on the lifts themselves and a completion card from Sunbelt that would be given for taking the class. This card also grants you rental discounts with Sunbelt. We will ask that contractors sign up 2-3 weeks ahead of time and classes may be canceled if not enough sign up, so if you are interested in a class at all please sign up. We will put out sign up forms online from our Facebook pages, posted on other places online and have a sheet in our office. If you are interested in a topic not listed please let us know and if one is not proving popular we may substitute a suggested one instead. These classes are for the benefit of our contractor customers so let us know what you want to learn about in this coming year. 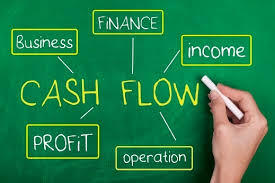 Cash Flow Tips for your Small Business. Cash flow is a big part of any business. If your customers are not paying you in a timely manner then you will have a hard time paying your vendors for the supplies you need to do business, to support the infrastructure to run your day to day operations, and enough left to support you and your family. Here are some tips on how to improve your businesses cash flow. Asking for payment for work you have done is the first step in getting paid and if you let this drag along then so will your cash flow. Invoice as soon as work is completed and make it trackable so you can easily follow up until paid. If possible have invoices due immediately upon completion of work. If work will be done over a long time period get partial payment up front. Have an easy way for customers to pay; ex: Accept online credit card payments. If a contract customer is on terms, shorten them as much as possible; ex: NET 10 or NET 15 instead of NET 30, or NET 30 instead of NET 60. Have late payment interest terms clearly listed on the invoice that you know can be enforced in your state. Then be sure to follow through and use them. Just as you want to be paid quickly so do your vendors, but see if you can work with them to see how far out you can hold out on payments or pay other ways. Can you purchase a larger amount of product for longer and better terms? Can you set up equal guaranteed monthly payments to vendors you order from frequently? This can help you with budgeting and spreading out payments. Ask if you can get longer terms with a vendor as your relationship time with them increases. Ex: NET 45 or 60 instead of NET 30 after 3 or 5 years. Use lines of credit or credit cards to extend time to pay for items. Consider bartering services for products. This is the amount you need to make each day, week or month to meet your basic business needs. Sales above this will be adding to your profit margin. You need to first add up all the expenses it takes to be in business even if you did not do a day of work; rent, utilities, insurance, equipment costs. This is your breakeven point. Then you can figure what your working costs are; labor, fuel, chemicals, other supplies. These costs are added to your breakeven costs to arrive at your daily, weekly or monthly costs to subtract from your sales to get to your profits. Have a plan in place on how to distribute your profits. This is an obvious statement but you would be surprised how much money is spent that owners have no idea where it went. Set up a budget. Be sure to add in any new line items as they come up. Do not have a lot of uncategorized miscellaneous items. Track every penny. Keep every receipt, which is easier if you have a set place that they all go and a set time each day to enter them. Have a computer program or system to enter and track everything. Try to not use cash, check and card purchases are easier to track. Do not intermingle personal with business purchases. If you need to pay for items for both at one store do it separately. There are ways to help you from wasting money you are working hard to make. Before buying an item make sure it is something that is really needed. Ex: A must have supply for a job already booked vs. something nice to have. Be sure to take advantage of any prepay discount from vendors, to pay off credit cards before their interest date, etc. Take advantage of interest or payment discounts by paying with auto pay from your business account. Be sure to know about and use any other discounts your vendors offer. Ex: Industry Organization discount, Military discount, volume discount, etc. Set up auto drafts or payments for recurring bills to not incur late fees or penalties. Do not tie up your money in unneeded or seldom used inventory. You never know when an emergency or unforeseen expense will come up. If you start putting a little away each month you can be better prepared and not have to use other high interest cash like with lines of credit or credit cards. Set up a separate account just for these funds so it not as easy to draw on them for just any reason. Have a goal set for your fund. Start with what it would take to pay for a whole month of bills, then extend that to 3 months then 6 months, etc. Put a set amount or % of your profits aside each pay period until you have reached your goal amount. Once reached extend the goal or earmark it for a new project. Have a business plan in mind for growth and work toward making it happen. Plan for equipment replacement. Everything has a work life and if you have saved up for it over time you won't have to use credit and pay interest for part or all of it the next time. Plan for new or upgraded equipment as well. Want to have more than one crew working for you next year then start savings for that new rig now. Put money that you know is not really yours, like for taxes, aside in a separate account so that it will be there when the quarterly taxes come due. Small business owners need to understand that most fail due to the lack or misuse of money. So if you follow these suggestions we have covered you should have a better chance than most to succeed. 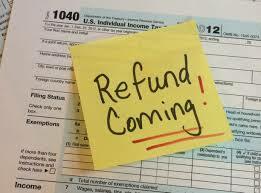 So you are getting a tax refund, now what? If you are like most people when you get a tax refund you want to go treat yourself with these new found gains; go on vacation, eat out, buy new clothes or toys, etc. But you need to treat them like what they really are, delayed income. Hopefully you don't blow each paycheck on just fun things that leaves you with nothing to show for it, so what really is the best way to spend a tax refund? 1. Treat it as a normal paycheck. Hopefully you have a system in place on how you spend your work income so do exactly the same thing. 2. If you do not already have a rainy day or emergency fund open it now with all this money into a separate account you do not plan on accessing except in an emergency. 3. Use it to pay on or off your highest interest bill, reducing your monthly expenses. 4. Invest in yourself. Pay for a certification class, go to a business convention, pay for your CDL license. Anything that will increase your work value. 5. Add it to a down payment you are building for a house. The higher your down payment the lower the loan amount and lowers future monthly mortgage payments. 6. Pay for needed vehicle or home repairs. Things that are truly needed not just a cosmetic home improvement. 7. Invest in your retirement. Pay into or open an IRA. 8. Invest in your children's future, pay into or open a college savings account. 9. Invest in your business. Buy new equipment, in full, that will improve your work or expand your ability to do new jobs. Pay off any loans you have now to reduce expenses. 10. Spend a small amount for fun, ex: $100 for a fun night out for the family. 20% to catch up on any overdue bill or prepay any large upcoming one, like quarterly car or house insurance. 20% to pay on highest interest credit card. 20% to pay for vehicle maintenance, new tires, brakes etc. 10% tithe to the church. The main thing is that you try to not have to pay extra at tax time. It is really best to calculate your payroll taxes so that you can bring home as much as possible with each paycheck instead of deferring that money into a large tax refund that you will just have to pay more taxes on again next year. Store chemicals only in their UN approved original containers. When you try to use other types of containers to store chemicals you may not use the proper materials that may cause chemicals to leach out or eat through causing a spill. Use pumps and funnels to prevent spills. When you have to transfer chemicals from a storage container for use do not try to pick it up and free pour. The chances are much higher that you will over pour, splash or spill. If you must free pour use a funnel to guide the chemical or best to use a pump with a hose for the transfer. Just be sure these are clean or only used for that chemical. Contain spills and leaks when storing. Where you store and will be transferring chemicals have in place spill mats, pallet trays or other spill containment measures. Then when any leak or small spill occurs it is already contained. Know the weight of a container before moving or lifting. Too many spills are caused by misjudging the weight of a container and having it slip from hands or due to being dropped due to weighing too much for the handler trying to lift it. If needed get help or use equipment like fork lifts or pumps. Guide spills away from drains. Most work floors slope toward drains for easier cleaning but with a spill you need to stop the chemicals before reaching a drain. Have drain covers and other measures like dikes to guide, confine or block a chemical spill from reaching or entering a drain. These can hang or be stored separately from spill kits for rapid access. Cover outside chemical storage and waste collection areas. If you have to store chemicals outside like in drums or totes or on open trailers keeping them covered will prevent rain or snow from rinsing off any over spill from the outside of the containers on to the ground and possibly reaching a storm drain. Trash areas should also be covered or lids kept closed so discarded chemical containers, or chemical contaminated materials are not washed off. Do not leave containers open, tighten taps. Number one way a spill happens is accidental tip over of a chemical container. When lids are not replaced or tightened any tip over can become a major spill. Also be sure taps on larger tanks, drums and totes are always closed properly, drips are spills and cause slips. Improper handling of work containers. Similarly once a chemical has been transferred, mixed and is actually being used for work it is much easier for the chemical mixture to be spilled. Try to use containers that can not easily be turned over, that employees have been trained on how to reduce spill accidents while doing a particular job. Do not leave work use containers out. Once a job is done if there are any chemical mixtures left in open containers return them to a properly marked and approved storage container or properly dispose of them. Leaving chemicals out and open can lead to accidental spills or worse chemical exposure to unauthorized persons. Drums or tanks need to be strapped down and smaller containers should be in special racks or inside a contained and best a lockable location. If an accident occurs a spill could be contained to the locker or prevented altogether. Always keep spill kits and needed PPE in high-risk areas including vehicles. Having proper spill kits for the chemical type and volume of chemicals that may spill as close to where the chemicals are stored or will be used is best for rapid response to any spill. Why you cannot transport bleach inside water tanks. This is an issue that affects almost all pressure washers. If you use sodium hypochlorite (bleach) in your cleaning then you are most likely mixing and storing some amount of bleach wash in some sort of liquid container that you are hauling around on your truck, in a van or on a trailer. But what most pressure washers do not know it that they may be breaking the law while doing so. Most often when setting up your vehicles for work you get tanks for storing water and tanks to store chemicals. But what you do not realize is that even if you buy a tank that is rated to store the type of chemicals that you use, as soon as you move that vehicle out onto the roads and highways you are now transporting chemicals, and those storage tanks are most likely NOT certified to transport those chemicals. The DOT, Department of Transportation, that has jurisdiction over all roads in the United States require chemicals they consider dangerous, and especially hazardous chemicals, to only be transported in UN certified containers. These containers are most of the times round in shape or with rounded edges, are made without or with as few seams as possible and they have undergone rigorous testing to be sure they can withstand a certain amount of pounds of pressure of impact a number of different ways. UN stands for "United Nations" as in the United Nations performance standards, and it is an internationally recognized system for the international transfer of goods, solids and liquids. All UN approved packaging must have a permanent UN marking on the container. This marking starts with the letters UN or the "U" placed over the "N" inside a circle followed by series of numbers and letters that determines the type of packaging it is, the materials it is made of, the category of the package, the packing group it is for, the maximum amount that can be contained in the package, the year it was made, what country it was made in and the manufactures certifying code. In regards to water and chemical storage tanks they have a totally different set of certifications and standards. You may see stickers or seals with the letters; ASTM D 1998, NSF/ANSI 61, or others like ISA or HDPE. ASTM D 1988 is a voluntary standard that means that the tank meets certain standards but there is some subjectivity to how each manufacture interprets the ASTM guidelines. This should be the minimum rating used for a water tank. NSF/ANSI 61 is a higher standard. 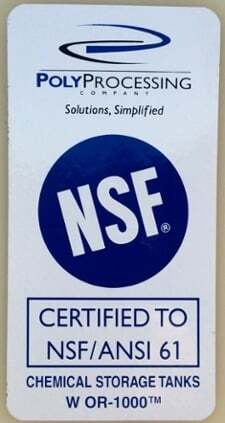 NSF is for the National Sanitation Foundation and ANSI is for the American National Standards Institute. And the NSF/ANSI 61 refers to the standard for water treatment and for potable water equipment, including storage. You may see circle stickers with the letters NSF or ANSI on the tanks you purchase. Both water only and chemical tanks can have these seals and there can be a second line of code under the certification listing what the tank is made of that will determine the chemical and percentage that the tank can contain safely. For instance this seal listed as "OR-1000", indicates it is made of a resin and it and all associated fittings contained in the tank have been tested and certified by NSF for the storage of sodium hypochlorite and sulfuric acid to ensure they are safe in the treatment of potable water. Sodium Hypochlorite has two levels of certification: = or < .08% and one for = or < 15%. And to make this even more difficult there can be certification differences based on each state and their laws, and system the tank is a part of vs. the basic tank certification, but since the water you are using is not to be used for potable drinking water but for non-potable cleaning you do not have to worry about any extra state laws. Just don't get caught ever drinking water that comes out of that tank, not that you would. But check with your state to see if you must label your water tanks as "non-potable water". Why plastic water tanks should not be used for chemical storage. Water tanks are designed with a specific gravity rating that is made to handle the weight of water, usually around 1.0. Chemicals can have higher specific gravity since there are more elemental compounds mixed with water. For instance 12.5% sodium hypochlorite has a specific gravity of 1.2. That is why a gallon of water weighs 8.8 lbs and a gallon of 12.5% bleach weighs 10 lbs. Therefore a water tank that was designed to hold up to a certain lbs of liquid may not be able to hold, after a time, the weight of a heavier liquid mass. Water tanks most often are also not made of a required material to withstand exposure to the chemical you place inside it which can, over time, cause the tank to break down, leak or even catastrophically fail. NSF certification is based on individual chemicals and some also require specialized interior liners. You also have more than just the container walls to consider. The fittings and gaskets that are keeping the contents in the tank are at a higher risk to fail when improper chemicals are stored in a water only tank, they may not be able to withstand possible corrosion or embrittlement. Some contractors feel they can get around the UN tank issue by using an IBC, Intermediate Bulk Container, to hold and store their water and bleach solutions. But there are also a few problems with that. The DOT considers bleach to be a dangerous chemical, not hazardous but dangerous. Therefore as listed in the DOT 49-CFR guidelines for transporting bleach before you are required to have a DOT registration number for your vehicle and a CDL, commercial drivers license, for your driver starts at 1000 lbs, with is anything over 100 gallons of bleach. This also means any combination of containers can not go over 100 gallons. So be careful when you start making a lot of smaller containers of bleach mix that you do not go over the 100 gallons. This also has to cover any other hazardous chemicals you have for other reasons; truck washes, acids, graffiti removers, anything DOT hazardous on their SDS's. Be sure you have all your SDS's in a binder with you as well. It does not matter if you plan to never fill that IBC with more than 100 gallons of bleach because the law states that you must be covered for the full amount that a container can hold (275 gallons) not what it is holding at any given time. And it also does not matter what the dilution rate is of the bleach inside the container. It is considered just as dangerous at <1% as if at full strength. That is why even empty dangerous and hazardous chemical containers must still be marked and handled like they were full. IBC's also have a certification life that other containers do not. On every IBC there will be certification sticker that gives an expiration date next to the serial number of the tote. So if you have one mounted on your trailer know that about once every 2 years you will have to replace that IBC with a newer up to date one, even if you are using it just for holding water. IBC certification can only be tested and good for up to 2 and half years. Always check for the expiration date when buying a used IBC. IBC's can be recertified but the cost to have that done can be more than just buying a new or refurbished one. If you stopped by the DOT and are found to be transporting dangerous chemicals in unapproved containers you can be up for a fine that can become quite large. So what can you do to protect yourself. 1. Only transport chemicals in their original UN approved containers. 2. When you buy 12.5% bleach, only have it poured into approved containers, like a certified UN drum. 3. If you make new containers for washing be sure to properly label them and that they also are only in UN approved chemical containers things like milk bottles, empty store bleach bottles etc are not acceptable. 4. Use water tanks only for water and label them as non-potable if required to. 5. If you are using a chemical approved storage tank onsite during washing be sure that you use up or drain out any left chemical mix into UN approved drums before you get back onto any roadway. 6. Never transport more than 100 gallons of any combination of dangerous or hazardous chemicals on your vehicles if you do not have a DOT marked vehicle and CDL driver that holds a current hazardous certification. Hazmat certification is good for 2-3 years at a time depending on the class taken. I know many of you may be saying to yourself but I bought this trailer set up like this with these tanks. I understand. Not all companies that put trailers together understand what I have just explained. Or they are only making a trailer to the specifications of their customer and are only told the buyer wants a certain size "water" tank mounted and the customer doesn't think it makes a difference that they already are planning on using one or more of those tanks for chemicals once they are using it. Or the company mentions to the buyer that they should be putting in a chemical tank but opt not to due to the price. It is up to you not the company that is building it for you to be compliant. Just like the automobile manufacture that makes a car with an engine that can go up to 125 miles an hour. It is up to you to follow the local speed limit when driving that car, not the manufacture of the car. But now you know, it does make a difference, so plan accordingly or change what your are currently doing as soon as possible to be legal and safe. 15 ways to show your employees you appreciate them. 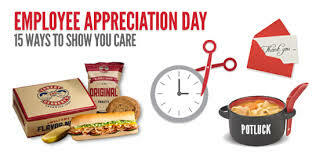 Today, March 2nd 2018 is National Employee Appreciation Day this year. Your business would not run without your employees and today of all days you should say Thank You. But there are ways you can say Thank You today and all year long that will let your employees know you feel they are a value to your business and part of a team. Here are 15 ways, some very low cost to give appreciation to your staff members. 1. Have a group pot luck lunch. You supply the main meal item, supplies and drinks, and have everyone bring in a side or dessert. Put out the closed for one hour sign and enjoy each others company. 2. Hand out Gift Cards to local fast food places, if taking time off all together is not possible. 3. Give a gas card to everyone for their own personal vehicle that they drive in to work each day. 5. Hand out snack bags to everyone with things like candy, crackers, peanuts, with little notes of thanks or encouragement. Cute things like "Your a Life Saver" with a bag of lifesavers. "Your flippin awesome" with Flips chocolate covered pretzels, "Thanks a million for being such a great employee" with a Million candy bar, etc. 6. Have a meeting and hand out cute or funny appreciation cards or plaques; Best coffee maker, Always on time, Tells the best jokes, Best Upseller, Customer Favorite, Fastest Washer, etc. 8. Have a once a month birthday cake brought in to celebrate everyone with a birthday that month, or even on each employees birthday if you have a small crew. 9. Bring in Breakfast today or could be once a month for a scheduled meeting like a safety meeting or when staff is coming in early for a project. 10. Order in Pizza or Subs for inventory day or when employees have to work through lunch or to stay late after work for dinner. 11. Send employees to learning events, to a trade show, to a conference or seminar to learn or improve skills. Have a motivational speaker come in or hold a First Aid and CPR event for them to become certified. 12. Hand out company logo items; insulated lunch bag, hats, shirts, mugs, jackets, umbrella, make it even more special by putting their names on the item. 13. Individual certificates indicating numbers of years with the company, unframed or already in a frame, or number of years worked lapel pins. 14, Tickets to a sporting or entertainment event they would like, plain movie pass tickets or to local attractions like an amusement park, a zoo or aquarium. 15. Special items for their desk or truck; a new chair or vehicle seat pad, mouse pad, pen holder, desk name plate, sunglasses holder, cup holder, clip board, etc. Even if you did not already make plans to do something today for your employees just speaking to each one and telling them how greatful you are and thanking them can make their day. February is National Time Management Month. Time is something we could all use more of, but the best way to have more time is to find the places where we waste it. Any small business owner can make more time by being a little more organized and with some thoughtful scheduling. 1. Set aside time to make phone calls. I am not talking about returning a time sensitive new customer that left a message calling to set up an appointment, I mean calls pertaining to running your business, a call to your accountant, or personal calls like to schedule a doctors apt. Having a set time where you can be in a quite place, and have all the numbers already at hand will benefit you. 2. Read and answer e-mails only at set times during the day. Having to stop and look at messages every time your cell phone dings can be very disruptive to your work flow. On your PC, tablet and phone set up folders and make rules for certain emails so they will not all show up at the top of your message list. Having them go to specific folders can allow you to see at a glance what you may need to address right away and which can wait until your set aside time. If poissible have your phone use different tones to help know which messages you can let go by until later. Also having and using different e-mail address for different reasons can be beneficial. One email only for new customer estimates, one e-mail for personal business and friends, etc. 3. Make a list of critical issues or tasks you must handle the next day the night before. Then tackle the most critical or largest task first when you are the most refreshed and mentally sharp. Plus you get a sense of accomplishment when you can check these off your list. Leave repetitive or mindless chores to do later, like checking to the mail box, restocking the truck. 4. Talking about restocking the truck, that should be one of the last things you do each day. This way you are not wasting valuable time in the morning when you should be already on the way to your first appointment. Making and using a check list is also a time saver so you do not have to try and remember each thing when you are the most tired and forgetful. Keeping a list of what you used throughout the day is also a time saver. 5. Try to make and take your own lunch and snacks instead of trying to stop at some place during the day. Trying to catch lunch when hundreds of others are doing the same can waste 15-30 minutes at a time, it is not a restful break and most times not as healthy. Also try to eat at off times from others. I know a contractor that gets up a 5:00 am each day so he eats his lunch between 10 and 10:30 and eats another larger snack between 1:30-2. Also do not skip breakfast. That should almost be your largest calorie meal of the day. To get your body fueled up for working. For this first week in February grab a little notebook and keep a list of all your time and what you spent it doing. This will help you be able to make a plan to better manage your time. Once you have the plan keep up with the list to see if you are sticking to your plan or what adjustments you will need to make. Do this each week and by the end of the month you should have a solid plan in place. Good luck. What can you do to fight the flu at work? As consumer service providers cleaning contractors need to take extra steps in this high flu and cold season to protect themselves, their staff and their customers. First if you or your staff are sick, I know it can be a big burden to your labor force but have them stay at home. Working, stressing their immune system, and spreading germs benefits no one. Next have staff wash their hands even more than usual and if they can not get to a sink with warm soap and water put hand sanitizer or personal sanitizing wipes in each truck or rig. 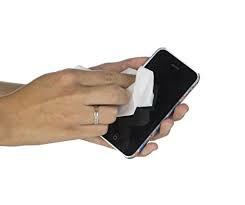 Have staff wipe off their cell phones at least once a day and especially if anyone else uses that phone. 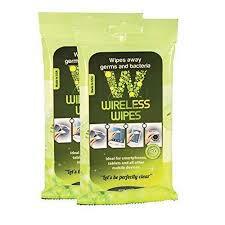 There are wipes safe to use on electronics. 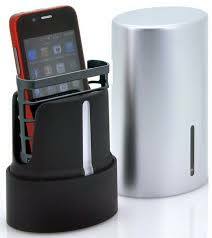 And even automatic cell phone sanitize machines you can buy. Some do both sanitize and charge! Next you have no idea what germs are running around at your customers either. If you have to go inside their home or business like carpet cleaners and kitchen hood cleaners, use hand sanitizer before and after and wipe down as many surfaces that you will have to touch as possible. If you are an auto detailer and are cleaning a vehicle use disinfectant/sanitizing wipes after the normal cleaner to kill any lingering germs. Think of all the germs that live on a dash after a driver has sneezed while driving! Pay extra close attention to the steering wheel, dash, knobs and control buttons. Be sure the wipes you use will not harm the finishes you are cleaning like these from this company, www.wipes.com. Even if you only work outside of a customers home wipe down your own environment, like the inside of your truck once a day. Clean your hands after visits to convenience stores, restaurants or any public place and use a wipe to pick up and hold a gas handle while pumping gas. If you have an office or work out of your home clean off phones, desk tops, key boards, anything you have touched or breathed on or into. It may take a number of days or up to a week before you start to show symptoms and that is when the most damage is done before you know you are sick. This is a good time to take extra vitamins, like C and B. Products like Airborne, one that I live by during flu season. If you start to feel run down, get extra sleep, eat foods with immune boosting properties; spinach, broccoli, sweet potato, ginger, garlic, yogurt and even foods like your mother's favorite chicken soup! Also be sure to drink plenty of water to help flush out your body or green tea. Daily light exercise (not to exhaustion) also gives a boost to your bodies natural defenses. This may sound like overkill but the flu does kill too. Hope all of you stay well this cold and flu season.